This Bronze god, Is an exceptional new safety razor. 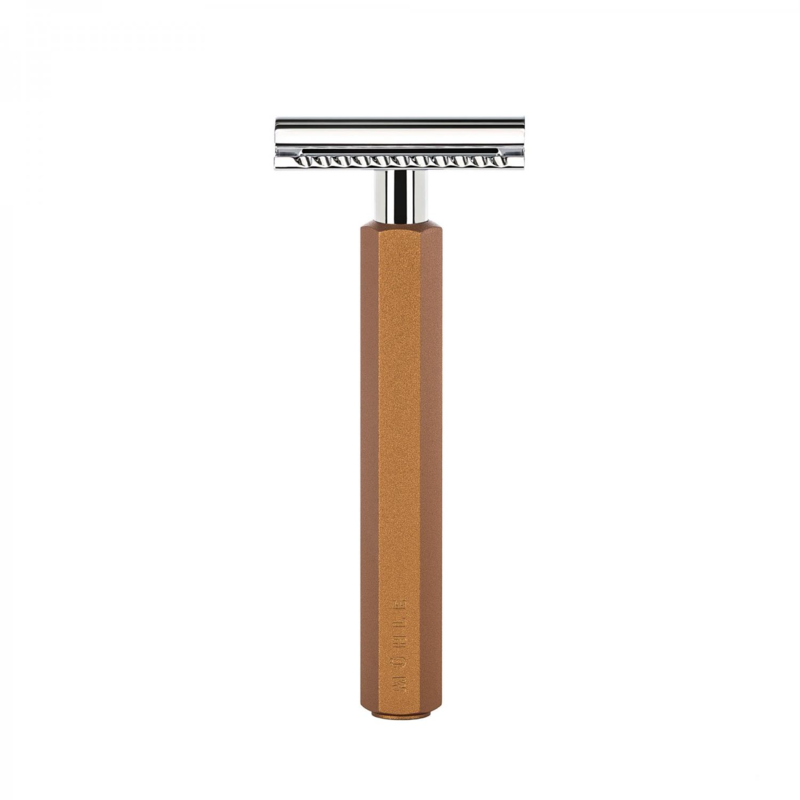 The Muhle Hexagon Bronze DE Safety Razor, has a anodized steel handle. Which Is hexagon In shape, the Industrial design of this range has shadows of German Bauhaus. We at Edward’s really like that the handle has the co ordinates of the Muhle traditional shaving company stamped Into It. 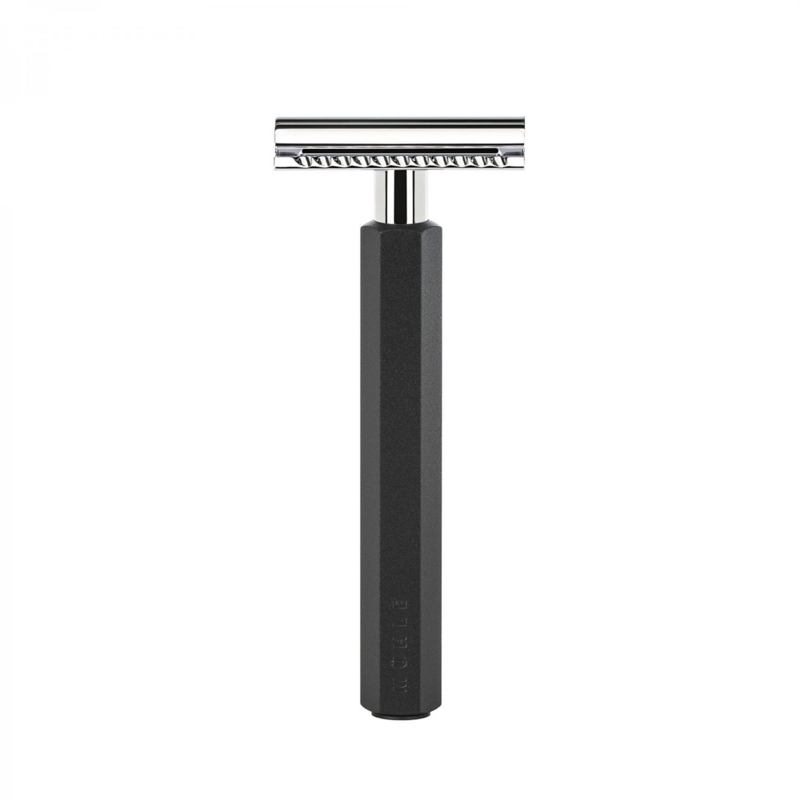 The razor It’self Is 94 mm and a solid quality weight of 67 g. The head has a closed comb, which makes the head middle aggressive as often Muhle razors are. The head has a screw cap which holds a double edged blade. This design Is bomb proof and the plated chrome Is an excellent non corrosive metal. Traditional shaving with a safety razor Is great fun and will provide you with an excellent shave, I enjoy trying out different double edged blades from around the globe, for example at Edwards traditional shaving emporium, we sell 8 varieties. Other wise DE blades are available at most chemists. 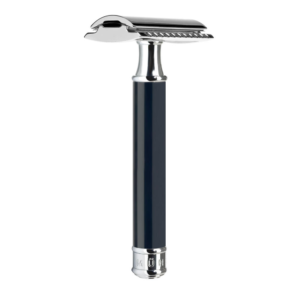 Using a safety razor takes a little getting used to with technique, we at Edward’s would recommend small strokes. 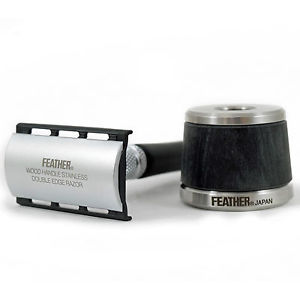 We have a great deal of traditional shaving know how on our blog, which has a great deal of excellent Information on razor technique. Also product descriptions.